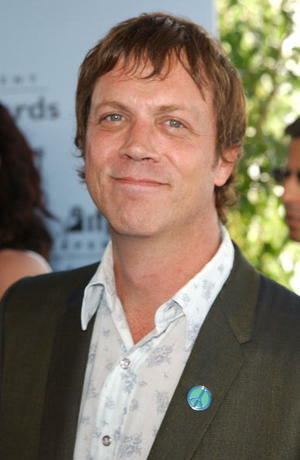 Filmmaker Todd Haynes is known for making provocative films that subvert narrative structure and resound with transgressive, complex eroticism. The content of his work has made Haynes the subject of both acclaim and controversy, a whipping boy for debates about NEA funding and a figurehead in the new queer cinema. Although he doesn't characterize himself as a gay filmmaker who makes exclusively gay films -- he has pointed out in interviews that to do this would be taking only the content instead of the form of his films into consideration -- Haynes' name has become synonymous with that cinematic movement and its work to both expose and redefine the contours of queer culture in America and beyond. Born January 2, 1961, in Los Angeles, Haynes grew up in nearby Encino. He developed an interest in film at a young age, and while still a high school student, he produced his first film, a short about contemporary teenage life entitled The Suicide (1978). Haynes went on to study at Brown University, where he made his directorial debut with Assassins: A Film Concerning Rimbaud (1985). After attaining his BA in Arts and Semiotics, the young filmmaker moved to New York, where he launched Apparatus Productions, a non-profit organization for the support of independent films. Shortly thereafter, he gained his first dose of attention -- and ultimately, controversy -- with Superstar: The Karen Carpenter Story (1987). A psychological docudrama about the life and death of singer and anorexia victim Karen Carpenter, the film blended sharp satire (most obviously in its use of Barbie dolls to portray the characters) with historical perspective and surprising compassion. Unfortunately, the considerable notice it earned at a number of film festivals was tempered by a lawsuit filed against Haynes by Richard Carpenter, whom the film portrayed in a less than flattering light. Carpenter's lawsuit resulted in Superstar's almost complete disappearance from theatres and the video market alike; unsurprisingly, it went on to become a bootleg classic. Controversy and acclaim again came Haynes' way with his 1991 feature directorial debut, Poison. Based on the writings of French author Jean Genet, the film was a three-part exploration of AIDS-era deviancy, alienation, death, homosexuality, and persecution told in turn as a vox-pop documentary, '50s sci-fi horror fantasy, and gay love story. Its provocative, unsettling nature, explicit depictions of male homosexuality, and the fact that it received $25,000 worth of funding from the National Endowment for the Arts made the film a target of the campaign being waged by the right-wing American Family Association's Reverend Donald Wildmon against federally-funded art. If anything, the publicity generated by the controversy helped the film, and Poison gave a strong showing on the art house circuit and became touted as one of the seminal works of the new queer cinema. It also won the 1991 Sundance Festival's Grand Jury Prize, an honor that fully established its director as a talent to be taken seriously. Haynes did not make another major feature film until 1995 (his 1993 Dottie Gets Spanked was a short film shown on PBS), when he resurfaced with Safe. The story of a San Fernando Valley housewife (the excellent Julianne Moore) who is literally allergic to the 20th century, it was both a brilliant analogy for the AIDS crisis and a coolly devastating portrait of despair and isolation. Safe was easily Haynes' most widely acclaimed film to date, and it gave him a significant measure of mainstream critical recognition. This recognition was apparent in the anticipation surrounding Haynes' next feature, 1998's Velvet Goldmine. Starring Christian Bale, Ewan McGregor, and Jonathan Rhys-Meyers, the film was intended as a loving tribute to the Glam rock era, replete as it was with gender and identity experimentation, feather boas, and image-mongering divas of both sexes. Despite such a fascinating subject and strong performances from its leads, the film drew a lukewarm reaction from critics, many of whom criticized it as being curiously pallid. However, like much of Haynes' work, the film was an inarguably unique piece of work, as interesting in its failure as many mainstream Hollywood films are bland in their success. In 2002, Haynes finally won both critical approval and a dose of mainstream success (if mainstream success is measured in Oscar nominations) with Far From Heaven. A gorgeous interpretation of Douglas Sirk's melodramas -- specifically All That Heaven Allows (1955) -- that both celebrated and subverted Sirk's work, the film boasted Edward Lachman's lush cinematography, a sweeping, perceptive score from Elmer Bernstein, and brilliant leading performances by Julianne Moore, Dennis Haysbert, Dennis Quaid and Patricia Clarkson. For her portrayal of a seemingly perfect 1950s housewife who discovers her husband (Quaid) is gay, Moore earned numerous honors, including an Oscar nomination for Best Actress. Haynes, too, garnered a slew of critical prizes, including an Oscar nomination for Best Original Screenplay. Although Far From Heaven lost out at the Oscars, Haynes won the last laugh, having demonstrated just how far a director with an uncompromising, iconoclastic vision -- not to mention a closetful of Barbie dolls -- could go.